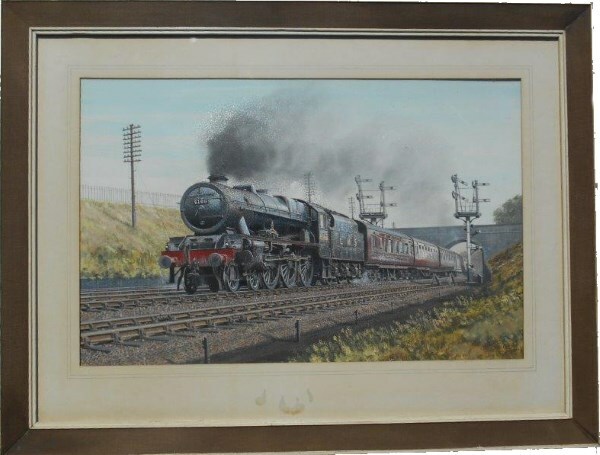 Lot 113 Framed & Glazed Original Water Colour painting of a LMS Roal Scot No 6166 "THE RIFLE BRIGADE" on a 1930's Express Passenger Service. Artist Unknown. Size 33" x 25".